First off, congrats to the winners of the Glad Cow Cookbook, Lu Ann Strauss and Hailey! Please contact us with your mailing address at dontfearthevegan@yahoo.com. 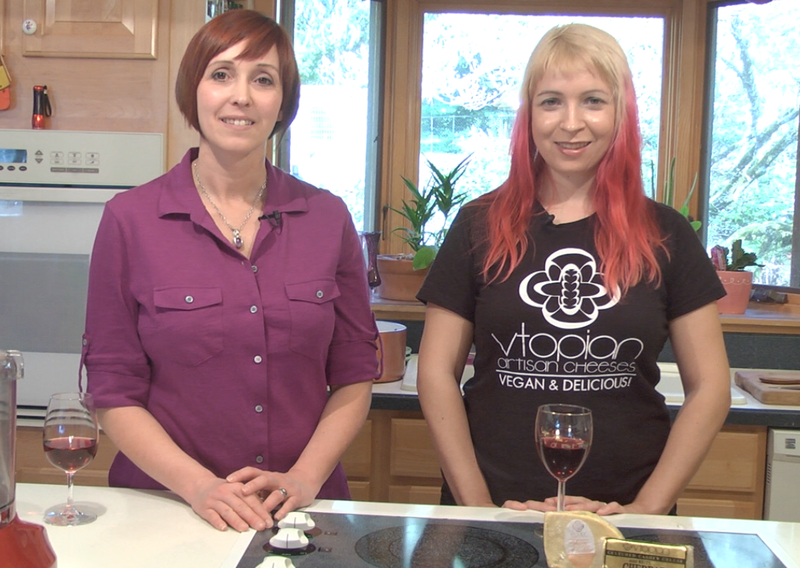 Here in Salem, Oregon, Episode 3 of Don’t Fear the Vegan aired and the main event this evening was vegan cheese. We would like to give a special thanks to Imber of Vtopian Artisan Cheeses for her guest appearance. Check her out the website and Facebook. The recipe for her amazing Mac n’ Cheese is below. Anzia also makes a special appearance with her latest rant. With as many people as her bacon rant annoyed, we can only imagine this one will really get people worked up, but hey, it’s all science. Thanks for all who have been watching and a special thanks to those who have subscribed to our You Tube Channel. I would like everyone to know that with our current agreement with CCTV we are not allowed to collect any form of payment. Yes, we are working absolutely on a volunteer basis simply trying to get the Vegan lifestyle out there. So when we ask you to subscribe or to share it is only to help spread the word and to let us know the time we are putting into this is worth it. Anzia was super excited when her bacon rant hit 3000 views in a matter of three days. Thanks to everyone who shared! 1. Blend tofu, cashews, milk, olive oil, miso, lemon, salt, pepper in a food processor until nice and smooth. 2. Transfer to a pot and then add the garlic and Vtopian Aged White Cheddar. Grate Reserve Sharp Cheddar to taste. Read the Pimento Cheese Spread recipe here. This entry was posted in Random info and tagged cctv, cheese platter, don't fear the vegan tv, mac n' cheese, morphine, reserve cheddar, vegan cheese, vegan tv show, vtopian artisan cheese. Bookmark the permalink.